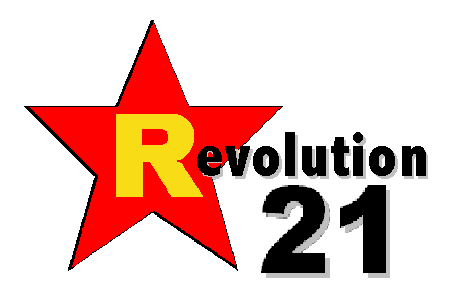 Revolution 21's Blog for the People: They shoot franchises, don't they? If any shred of the latest Saints scandal talk is true, given the trouble the team already is in, the NFL may need to exercise the nuclear option. No, the real nuclear option. Not the kinda nuclear option it unleashed against New Orleans over Bountygate. Is what I'm saying. Because if you're Commissioner Roger Goodell, you only need to take so much of this s*** -- if you know what's good for your league. The U.S. Attorney's Office in the Eastern District of Louisiana was told Friday that New Orleans Saints general manager Mickey Loomis had an electronic device in his Superdome suite that had been secretly re-wired to enable him to eavesdrop on visiting coaching staffs for nearly three NFL seasons, "Outside the Lines" has learned. Sources familiar with Saints game-day operations told "Outside the Lines" that Loomis, who faces an eight-game suspension from the NFL for his role in the recent bounty scandal, had the ability to secretly listen for most of the 2002 season, his first as general manager of the Saints, and all of the 2003 and 2004 seasons. The sources spoke with "Outside the Lines" under the condition of anonymity because of fear of reprisals from members of the Saints organization. Jim Letten, the U.S. attorney for the Eastern District of Louisiana, acknowledged being told of the allegations Friday. Sources said he has briefed the FBI in New Orleans about Loomis' alleged activity. If proved, the allegations could be both a violation of NFL rules and potentially a federal crime, according to legal sources. The federal Electronic Communications Privacy Act (ECPA) of 1986 prohibits any person from intercepting communications from another person using an electronic or mechanical device. "I can say that we were just made aware of that on Friday, at least of these allegations," Letten said. "Anything beyond that I'm afraid I'm not at liberty to comment." Greg Bensel, Saints vice president of communications, said Monday afternoon on behalf of the Saints and Loomis: "This is 1,000 percent false. This is 1,000 percent inaccurate." NFL spokesman Greg Aiello said the league was unaware of the allegations. Sources told "Outside the Lines" the listening device was first installed in the general manager's suite in 2000, when Loomis' predecessor, Randy Mueller, served as Saints GM. 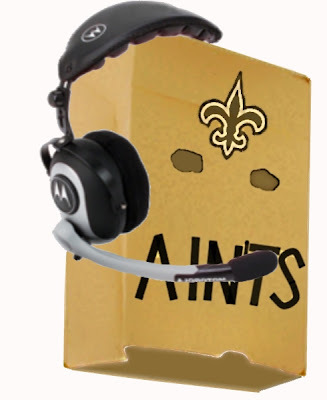 At that time, according to sources, Mueller had the ability to use the device to monitor only the game-day communications of the Saints' coaching staff, not the opposing coaches. Mueller, now a senior executive with the San Diego Chargers (he also was an ESPN.com NFL analyst from 2002 to '05), declined to comment when contacted by "Outside the Lines." After the transition from Mueller to Loomis, the electronic device was re-wired to listen only to opposing coaches and could no longer be used to listen to any game-day communications between members of the Saints' coaching staff, one source said. "There was a switch, and the switch accessed offense and defense," said the source. "When Randy was there, it was the Saints offense or defense, and when Mickey was there it changed over so it was the visiting offense or defense," the source said. NEW ORLEANS should be so proud. Then again, knowing the Crescent City, it probably is.